The enduring popularity of analogue synthesizers means that many vintage instruments have lived on decades after their designers imagined they'd be only so much scrap metal and plastic. Keyboards circulate between musicians, studios and collectors, and the recognisable sounds of favourites like the Yamaha CS80 or Minimoog continue to appear on newly released records, often in genres undreamt of when they first appeared. Some were manufactured in such limited numbers — from the low hundreds to low thousands — that the small and ever-decreasing supply and insatiable demand have pushed prices beyond even the king's ransom they sold for originally. 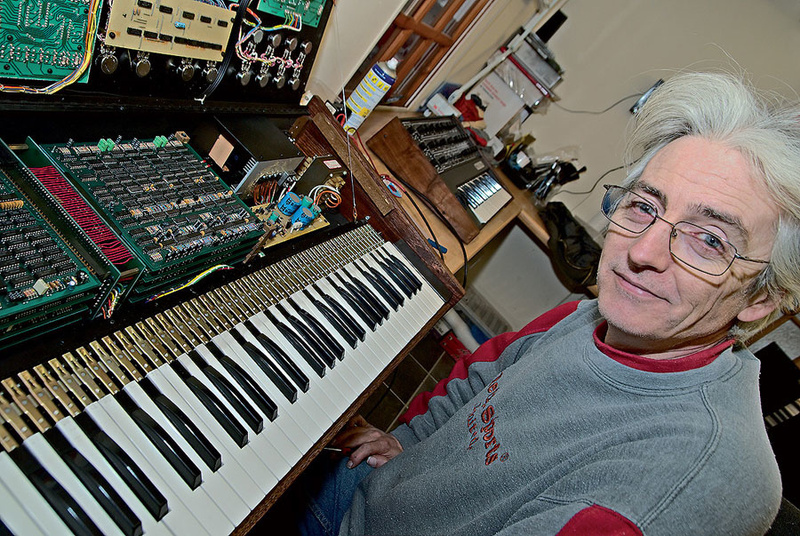 Kent Spong of Kent Spong Restorations (KSR) is one of the UK's few experts in the maintenance and repair of vintage analogue synths, and as well as offering his services directly to owners, he restores instruments for RL Music, founded by his old school friend, synth dealer Richard Lawson. It's a specialised business. 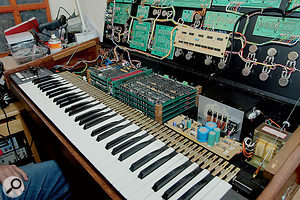 Kent estimates that Yamaha manufactured only 800 to 850 examples of the CS80, the 100kg synth perhaps most associated with Vangelis's albums and film soundtracks for Chariots Of Fire and Blade Runner. Of these, around 300 have come through his workshop. They were expensive in 1977, when they sold for £5000 (the average UK house price was about £10,000); recently, a fine example sold on eBay for £11,700. 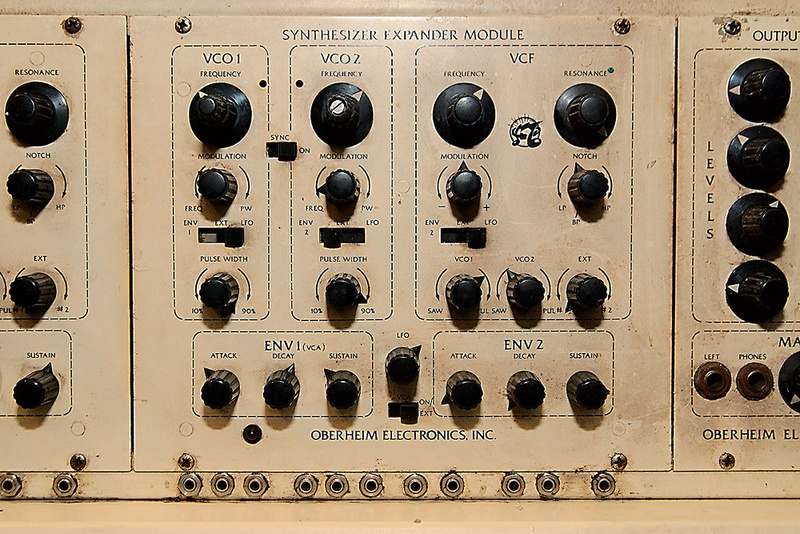 An example of how complex analogue polysynth design can be: the interior of an Elka Synthex. When I visit, there's a full family of Yamaha's CS-series polysynths — CS80, CS70, CS60 and CS50 — awaiting Kent's ministrations, alongside an Elka Synthex, ARP Odyssey, Minimoog, Roland Juno 60, Sequential Circuits Prophet 5, Prophet 10 and a huge Oberheim Eight-Voice. And that's just in the front room. There's no photo that can do justice to just how full of keyboards this house is, even though Kent insists that "It's actually not that bad at the minute.” It's enough to make a synth fan weak at the knees. "There is a degree of worship involved with people's relationship to this stuff,” Kent laughs. "The people from After The Fire came round with a CS80 they'd had from new, but had dragged around for years. It was in a pretty terrible state. We completely restored it, rebuilt the whole case — it took five weeks. When he came over to try it out, he walked into the workshop, clapped eyes on it and burst into tears. Playing it, hearing it, he was just beside himself. Synth restoration doesn't only involve fixing the electronics. 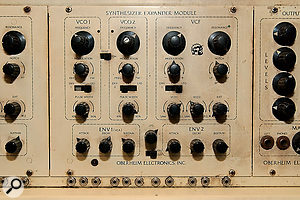 Like this Oberheim Eight-Voice, many old instruments stand in dire need of cosmetic improvement! Taking the time to repair a broken key on his Korg Mono/Poly, circa 1982, he found that friends were impressed by his willingness to open up the synth and get his hands dirty. 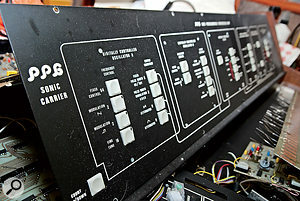 Some of the instruments that pass through Kent Spong's workshop are extremely rare, like this PPG 1003 Sonic Carrier.By the mid-1980s, Kent had added synth repair to the computer repairs he was offering at the time, starting with simple problems such as scratchy potentiomers and faders or broken keys. Kent recalls: "Then, you just rang up the company and ordered a part, but now a huge amount of what I do is scour the planet for obsolete components. Paradoxically, now I can find a filter board for a Minimoog much more easily than I can find a computer board for a Korg M1. The M1 is about 20 years old, while the Moog is nearly 40 years old, but the longevity of the M1 was never considered to be more than a few years before being superseded, so they made fewer spares, perhaps expecting lower failure rates. It's much harder to find components for mid-'90s equipment. The Roland JD800, for example: if the keyboard membrane goes, you'll struggle to find a replacement. With the silicon wafers of chips of the time fabricated with a six-micron process, compared to today's wafers measured in nanometers, there is little chance of remanufacturing the ICs today, even if the dies, long since lost, could be found or reverse-engineered. Undeterred, electronics sages have tackled that very problem. Jeroen Allaert from Ghent in Belgium (www.analoguerenaissance.com/D80017/) spent years painstakingly reverse-engineering the original Juno 106 VCF/VCA controller PCB to produce a perfect clone that solves the manufacturing defects of the original. What do Roland think about this? They stock his parts. 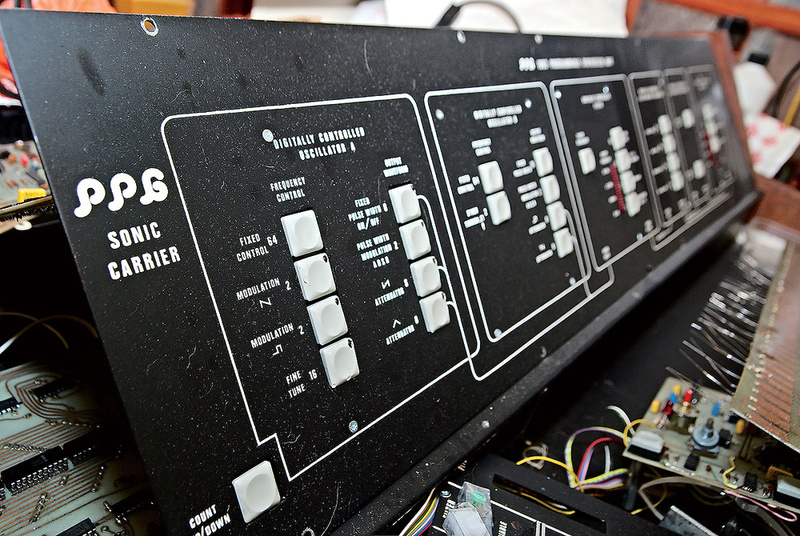 A perennial problem for synth restorers is finding components, especially obscure integrated circuits. Kent's less common problems include an exploding Moog Modular that fired a light-bulb across the workshop, a faulty Synclavier disk drive that, on inspection, contained a huge dead spider, a 'broken' Korg PS3200 that actually just had no voice cards (from eBay, natch), a working Korg Mono/Poly that inexplicably contained a man's leather shoe, and a CS80 inside which was nestled not only a rather nice gold man's watch but a very old cheese sandwich. 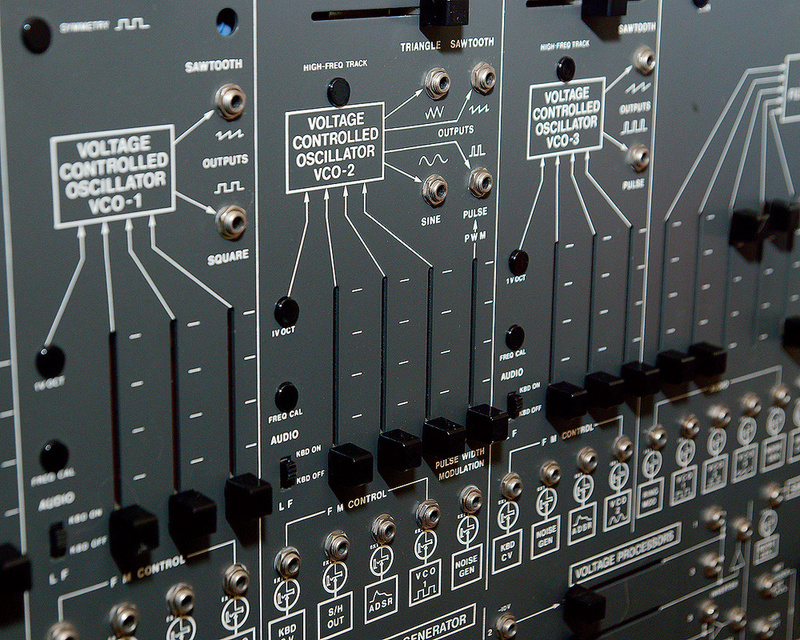 Tiresome to work on, but a great instrument: the ARP 2600. 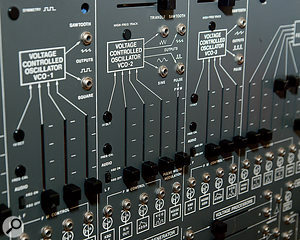 Modern synth designers have long since learned this lesson, and there are now many digital instruments with 'knobby' control surfaces, not to mention novel controllers such as X-Y pads and Roland's D-Beam. But even that hasn't stemmed the demand for true analogue synths, which are undergoing something of a renaissance. Korg's new MS20 Mini joins big names such as the revitalised Moog Music company's Moog Voyager and Little Phatty, former Sequential Circuits designer Dave Smith's Prophet 08 and 12 and Evolver, Tom Oberheim's new SEM modules and Son of Four Voice synth, and Arturia's MiniBrute. As Kent points out, there are more people building analogue gear now than ever before, each a nod to the sounds and tactile control of the past with the programmability and flexibility of the present. It's also a sign of how well today's digital and analogue circuitry work side by side. "Take the Voyager,” Kent says. "It doesn't sound exactly like a Minimoog, but that doesn't matter. The interesting thing is that they've managed to capture that Moog sound and then computer control it, giving you facilities that an original Moog could never give you. Vintage synthesizers now entering their fifth or sixth decade in use are inevitably going to hit problems. Here are Kent Spong's top tips for keeping them going. Beware of battery leaks: any keyboard with patch memory will have a battery which, over decades, runs the risk of leaking corrosive acid and causing potentially serious damage. The Korg Polysix and later Poly models, Roland SH101 (designed to run from batteries) and Rhodes Chroma are just some of those susceptible. NiCad and alkaline batteries are more likely to leak and should be replaced with lithium batteries if possible. It's worth checking, if you never have. Check your capacitors: capacitor electrolyte is not likely to cause damage directly, but dead capacitors aren't regulating current as they're supposed to. This exposes delicate components to power spikes, and alters the voltage and therefore the effects of oscillators and filters. Check for bulging or blown caps, and listen for rattling or clicking sounds, which are frequently signs of power-supply capacitor failures. Prevent scratchy pots and sliders: with gravity working as it does, dust is bound to find its way into the workings of sliders and knobs, causing a build-up of debris and static that becomes an audible irritant. A dust cover is a simple way to reduce it, and a smoke-free environment helps too. Keys stop responding when the carbon contact underneath wears off so that the circuit is not completed. Graphite spray or replacement carbon contact 'pills' will solve the problem, but this will require going 'under the hood'. Stuck keys are another common keyboard problem, caused by the rubber bushings that push depressed keys back up into place becoming brittle and crumbling, leaving keys stuck down. They can be bought online cheaply, but you have to get the right type for the keyboard, and again, it means opening the synth. 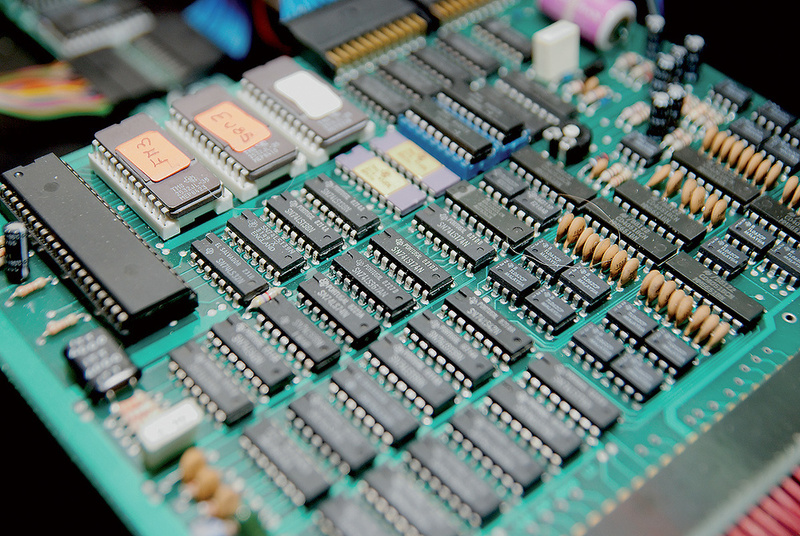 The comparatively primitive CMOS integrated circuits from 20 or 30 years ago don't last forever, and logic and timing errors caused by failing chips are difficult to diagnose. 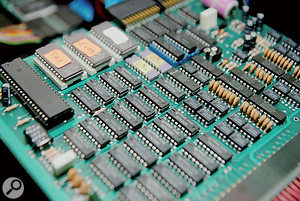 At least some chips (like the 4000 series) are replaceable using modern equivalents, although there may be hundreds of them in a synth. Keep it cool: a synth that lives in direct sunlight is more likely to overheat and develop dry solder joints than one that is kept cool and in the shade. Sunlight will fade the case, too, especially those wood-effect panels. Use it! Get used to turning synths off when not in use, as this will extend the lifespan of some components. But equally, don't let a vintage synth lie around unused: fire it up periodically, let it warm up, and give it a work-out to ensure that capacitors don't dry up. Buy a proper flightcase for storing it long-term, throw in some packets of silica gel and store it flat.